When Honda redesigned the 2018 Honda Odyssey they had convenience in mind. This is why Honda introduced the CabinWatch™ and CabinTalk™ systems, which are designed to make it safer and easier to monitor and communicate with rear seat passengers without having to take your eyes off the road for a dangerous length of time. CabinWatch™ is a new feature available on select trims of the 2018 Honda Odyssey. The feature is ideal for families with young children, making checking in on them during long drives easier than ever. 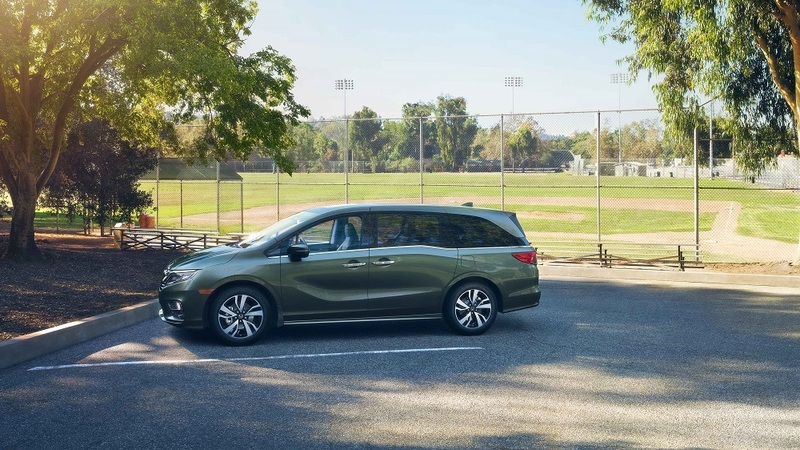 Not only was the introduction of this feature a first for the Honda lineup, it was a first for any minivan in the segment. The CabinWatch™ feature is a rear-facing, ceiling mounted camera that allows front row passengers to monitor activity in the second and third rows. To engage CabinWatch™, touch the CabinWatch™ app on the infotainment touchscreen. You can pinch out on the screen image to zoom in or out and get a closer look at one specific row. With the positioning of the camera, it is ideal even for young children in rear-facing car seats. The camera even works well at night, using infrared LEDs to view the passengers in the back. CabinWatch™ works with CabinTalk™, a feature that allows front row passengers to speak to the passengers in the rear rows through a built-in PA system. CabinTalk™ works through the speakers in the vehicle, as well as when children are wearing their rear-entertainment headphones. If entertainment is being played through the Blu-ray player or select streaming apps, the CabinTalk™ will pause both the audio and the video playing on the screen. If the video source comes from HDMI or non-supported streaming apps, the video will not be paused, however, CabinTalk™ will mute the audio. To use CabinTalk™, simply touch the app on the dashboard infotainment display to mute the audio. When using CabinWatch™ on the display screen, the CabinTalk™ button is conveniently located in the corner, making communication easy. If you’d like more information on why the Honda Odyssey is the right car for your family, visit Henley Honda today. One of our Sales and Leasing Consultants can help you find the right vehicle for you.